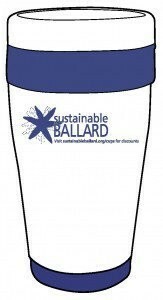 Sustainable Ballard now has a paid membership program. If you become a paid member, you can proudly declare your support with one of these yard signs! 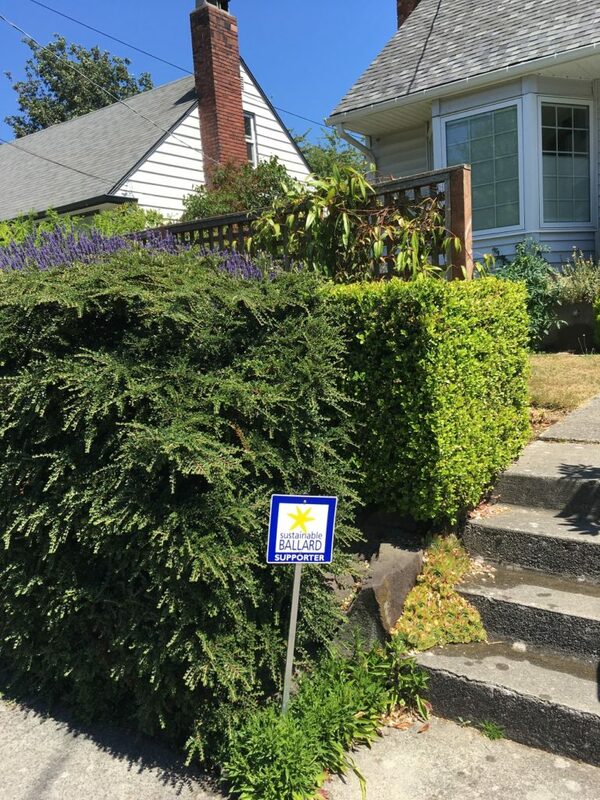 If you don’t have a yard, you can display the sign (without the stick) in your condo or apartment window. Join now! But most importantly, paid members know that their financial support helps keep Sustainable Ballard on a firm financial footing, supporting our ongoing programs and events. Join now! If you’ve recently become a member, you will hear soon from our friendly volunteer Board Member Paula, who will make sure you receive all of the benefits you want. Please do consider joining us with a paid membership! YES! 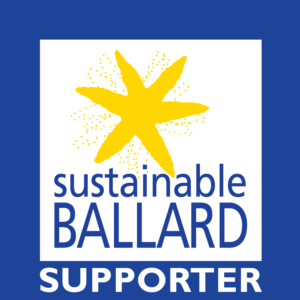 I want to support Sustainable Ballard programs and events!